​Only a few years ago, no one would’ve taken you seriously if you said you were doing some serious cleaning with a Costco robot vacuum. hat has all changed now. When these little robot vacuums first came out on the market, they were more or less a novelty item. Families enjoyed watching them scurry around the house bumping into walls and freaking out the dog, though they weren’t really doing their job in the cleaning department. 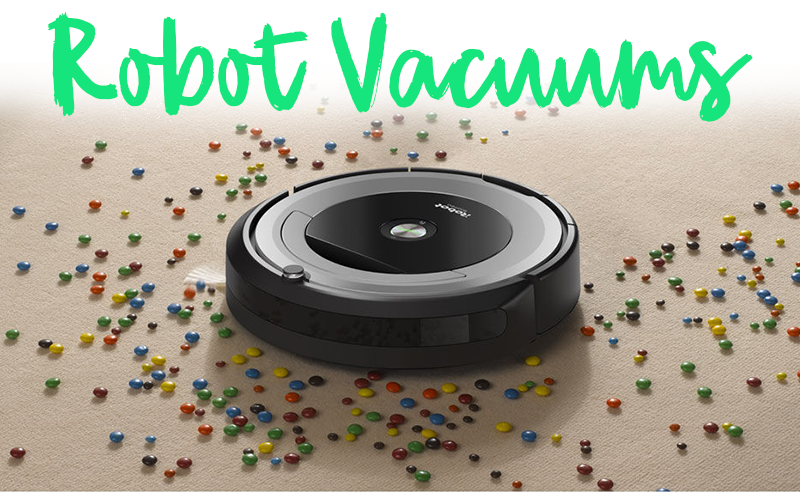 Now, at the dawn of a new era, robot vacuum cleaners are really stepping it up and are becoming wondrous little machines for the futuristic clean freaks. Though they probably won’t be considered a true alternative to your traditional vacuum cleaner for quite sometime, they can do the job when it comes to a simple surface cleaning. With that, we say thank you to the companies that powered through the novelty era of these robot vacuums to enhance their cleaning potential and better program these little guys so that we can now tell you about our favorites out there! 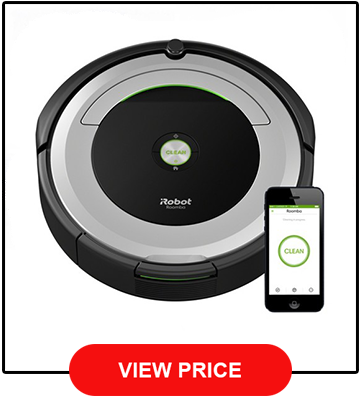 The iRobot Roomba 690 is an ultra-sleek little machine that is at the top of the robot vacuum game because of its ability to effectively clean just about everything from clean carpets to hardwood floors and in between. 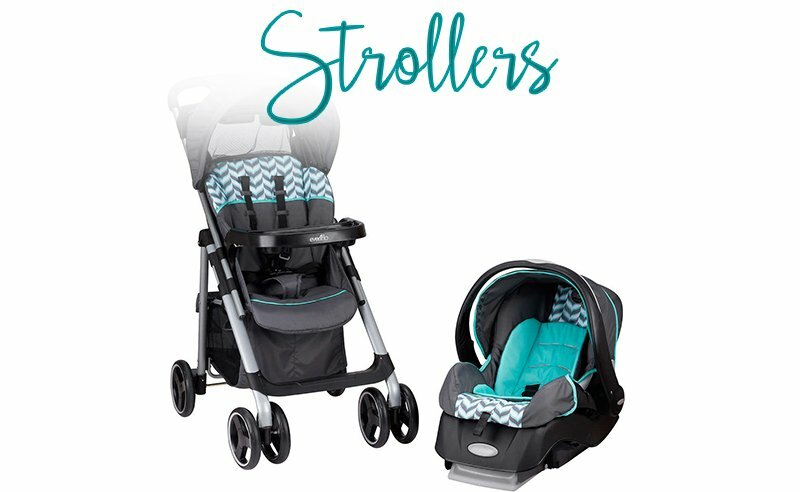 It also comes packed with some awesome features that you must know about! It comes with an edge-sweeping brush, set at a 27-degree angle to get the pesky debris out of the edges and corners of your walls. Secondly, it comes equipped with an array of ultra-smart sensors that have the ability to make over 60 decisions in one second so that it can sweep your home safely without bumping into everything. Lastly, this robot vacuum is one step below AI. Just check out the voice-activated Wi-Fi control that is compatible with Alexa, and the iRobot HOME app that give you the ability to schedule a cleaning time for your vacuum, even when you’re out and about! You really can’t beat this vacuum for the price! Ecovacs Robotics has started making some serious, yet affordable, robotic vacuum cleaners. The Deebot N79 is one of their best models in our humble opinions. It works best for hard wood floors, tile floors, and carpets that aren’t thick. It is also a bit shorter than the iRobot at 3.1 inches, meaning it won’t have a difficult time trying to get under couches, tables, or any other hard to reach places. Users will absolutely love the app, as you can schedule your cleaning times, decide on your cleaning mode, and get the status of your clean, as well as your little robot, all at the touch of a few buttons. 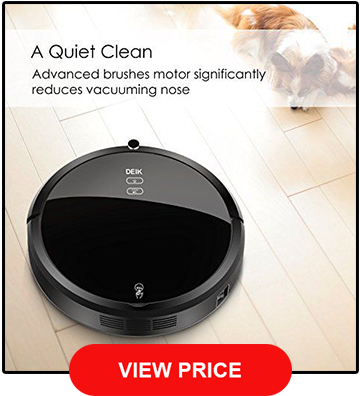 Packed with other features like the adaptable smart motion guiding system, the bonus air filter, and the incredible 10 hours of battery life, this is another awesome and affordable robotic vacuum cleaner! 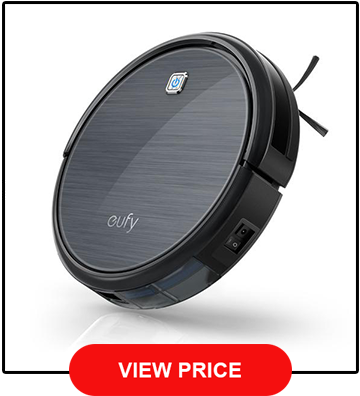 Another affordable robotic vacuum cleaner, the Eufy RoboVac is a serious contender for our top picks, and does great with low-pile carpets and lighter hardwood floors. Though some of the money you save takes the convenience away from having the scheduling convenience from an app, the hands-off cleaning is worth it. Did we mention this thing is also a little robot genius? If you have uneven floors or stairs, this thing can still make the home voyage safely. Like with other robotic vacuum cleaners on our list, this comes with a few brushes, such as the 4 side brushes and a rolling brush, to get multiple jobs done at once. It can fit under furniture nicely at only 3.1 inches, and comes built with anti-scratch tempered glass that enhances its durability beyond many of its competitors. 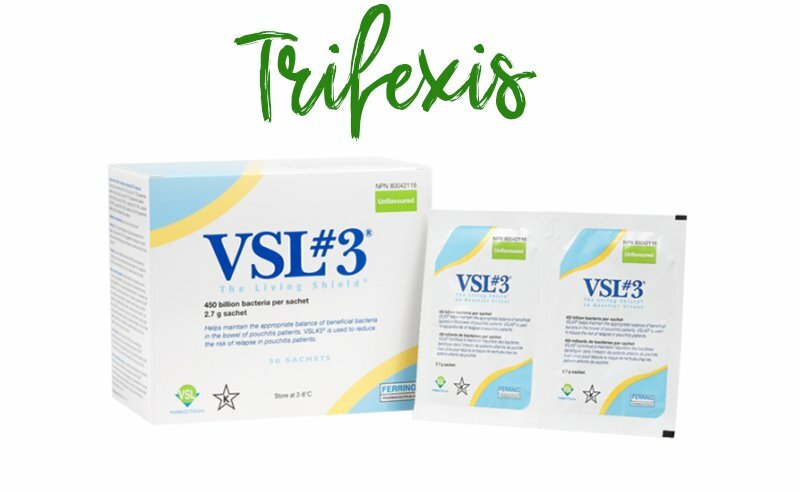 Looking for something a bit more serious? The Costco Roomba 805 really excels at cleaning all kinds of floors from carpet to tile to hardwood and beyond. It also has tangle free extractors on board that help to break down and get rid of pet hair and debris clogs, as well as uses its AeroForce filter to wipe out up to 99% of harmful allergens down to those that are as small as 10 microns. This is what really separates this vacuum from its competitors. Unfortunately it is a bit taller than some other robotic vacuums at 3.6 inches, though if you have standard furniture you should be fine! It also does not come with an app to schedule at-home cleaning while out on the go, though you can schedule from the vacuum itself to have different times for cleaning all week! 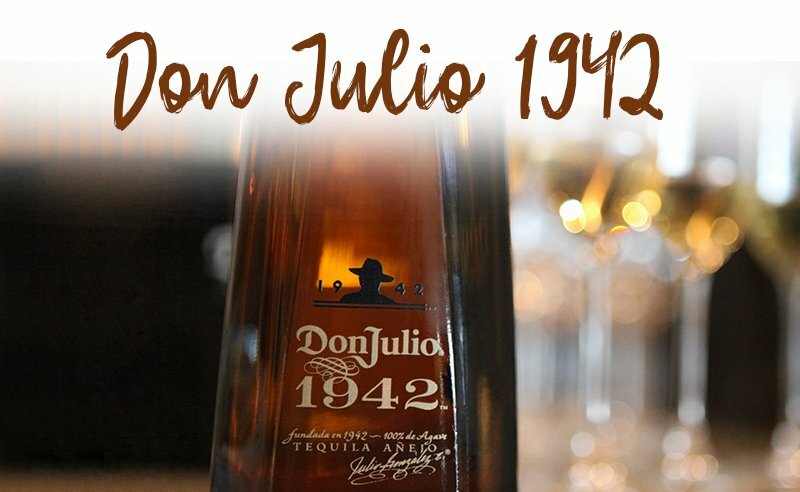 Don’t feel like burning a hole in your pocket for one of these little guys? 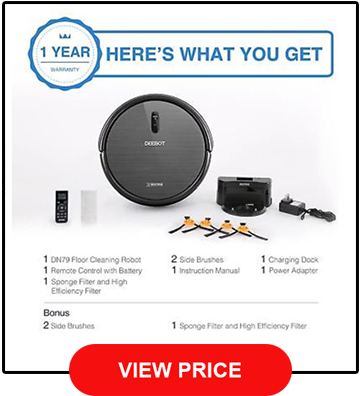 In that case, you should try and shoot for the most affordable robotic vacuum cleaner on our list. Even though it is much cheaper, it still does a pretty good job at getting into low-pile carpet and hardwood floors, though it is certainly not the most thorough. The one special feature that we really love about this vacuum is the ability to swap out wet and dry attachment to hit different parts of the house. The vacuum does an excellent job at holding just above a full day’s worth of dust with the extra large dustbin. If you can live without all the fancy features other robotic vacuums have to offer, we would highly recommend checking out the Deik Robot. 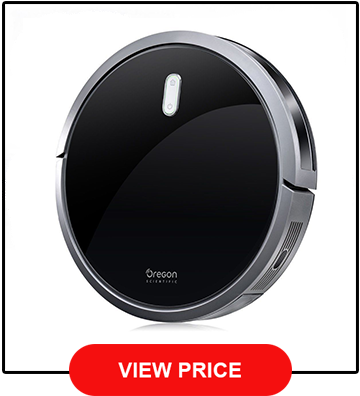 This little robotic vacuum cleaner is also very affordable and will get your floors cleaner than the Oregon skies. Not only will it clean low-pile carpets and hardwood floors, but it can also do it very quietly. This is great for those looking for some serenity. It comes with a 3-tier cleaning system like most models and has two durable sides brushes and a center rubber brush. Second, it comes with a smart HEPA feature to get rid of smaller particles that may disrupt the air in your home. Lastly, though not with an app, you can schedule your cleaning from the unit before leaving for work. How can I choose the best robotic vacuum cleaner? 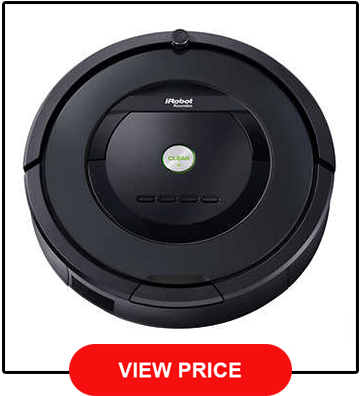 Though everyone’s preferences are different, there are definitely some general things to look for when trying to find the perfect robotic vacuum cleaner. First, make sure you have an idea of what types of floors you’ll need cleaned. Some robotic vacuum cleaners do best with low-pile carpet while some do best with wood or tile. Secondly, check the shape or the side brushes. Is it going to be able to get its way into corners and crevices so that it can clean those harder to reach places? Lastly, is it smart enough to maneuver around your home just as you would if you were manually cleaning it? A robotic vacuum that roams around one room isn’t very helpful. Will my robotic vacuum clean higher-pile carpets? This is where robotic vacuums don’t quite match up to traditional vacuum cleaners. If you have a home with very thick carpets or rugs, you’ll most likely want to skip purchasing one of these altogether, or just know that you’ll have to sanction it to smaller parts of your home where that carpet doesn’t get in the way. Do I have to maintenance my robotic vacuum? Like with any traditional vacuum, you must perform some regular maintenance to prolong its life. This includes emptying the dustbins, changing the filters, cleaning the brushes with a proper cleaning tool, and anything else that the specific manufacturer mentions.